Javon Tyrese Carson, Age 17, was born March 15, 2001. 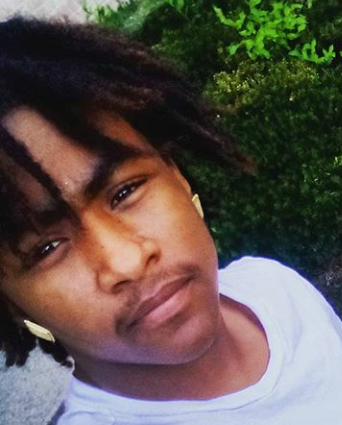 Javon attended Scottwood Elementary, Sherwood Middle School, and Focus Learning Academy East. Jay was a people person who loved to see people smile. He was always willing to give a helping hand. Javon loved to put things together; he was the handyman of the house. Javon could walk in a room and with his smile, he could brighten up your day. Jay loved his family and friends. Javon Carson was granted his angel wings on October 5, 2018. He is preceded in death by paternal grandparents Juanita Fox, Bobby Moore, William Sr., Frances Carson, Mary, and Floyd Smith Sr., father William Carson Jr., and brother Antonio Gore. He leaves behind to cherish his memory; mother Darlene Carson, father Floyd Smith Jr., sisters Mellissa, and Latasha, brothers William, Brandon, Floyd III., Dominic, and Jacob Jones, nieces Lakia, and Dominae, special cousins T.J, and Amayree, and a host of other relatives and friends. Visitation 11:00am and Funeral 12:00pm Wednesday, October 17, 2018 at MARLAN GARY FUNERAL HOME, THE CHAPEL OF PEACE EAST, 5456 E. Livingston Ave.
To the Carson family. My heart is with you and your family at this time of your loss. There is comfort in knowing God’s promises about the resurrection hope. Acts 24:15 and John 5:28,29. In the past God has resurrected humans and He is eager to do it again because He hates death. Mark 5:41-43 I would like to discuss more with you about God’s promises. Feel free to contact me at (614) 870-2979. Love Your Neighbor Irish J. Richardson. Please call. My sincere condolences to the Carson family and those who knew and loved Javon. May these words of Revelation 21:4 from our Heavenly Father Jehovah give you a measure of comfort and strength to endure during this time of grief and deep sorrow. The Bible promises of a resurrection, which is a sure hope of being reunited with our dead loved ones. We can’t begin to imagine what you are feeling, but please let us share our condolences. In just a little while all of the pain and sorrow that we feel from the death of our love ones will cease and be replaced with joy. Thoughts of peace. I’m sorry this happened & we are still in shock about you no longer being here on earth… I’ve watch you grow up from being a 6yr old little boy running around Coventry jumping on little boys that would test you and me always having to tell you to get down from that tree in front of my apartment as I didn’t want you to hurt yourself again. (You had already had broken your arm if i can remember correctly :-)… You were always respectful to all adults in our court/row in Coventry. Ive never seen/or heard of you being disrespectful to any adult in our court/row in Coventry. You were ALWAYS a helpful young man! If you seen me or any other woman bringing in groceries or struggling with anything you’d run to help out in anyway you could… I’m going to miss you lil buddy. See ya on the other side!!!! Javon was my best friend. He always knew how to make me and my mom laugh. I looked up to him like a big brother, he had my back and I had his. Everywhere he went I was right behind him. J was such a innocent boy, and so respectful. Everyone loved him. This is so unreal to me and I honestly don’t know how to deal with it. I’ll never forget him. Our encounter was unique… but from our brief acquaintance, I could see that Javon had a sweet spirit about him. My heart breaks at another young light permanently dampened… My condolences, Ms. Darlene. I cannot fathom your pain at this time, but my prayers are with you. Oh when my granddaughter said Grandma , Javon got shot. Once again my heart start doing plapatations I didn’t hear of it until Faith told me he died. Another god child who stayed at r home him his sister and cousin , Whom forgot where his home was. His mom Darlene had too call and verify that if it was ok and make sure 9 pm didn’t go pass. Never once was they unruly kept me laughing thank u my granddaughters Faith,Sidni and Kennedy. For introducing Javon and his loving family. May God keep you Wrapped in his Arms.